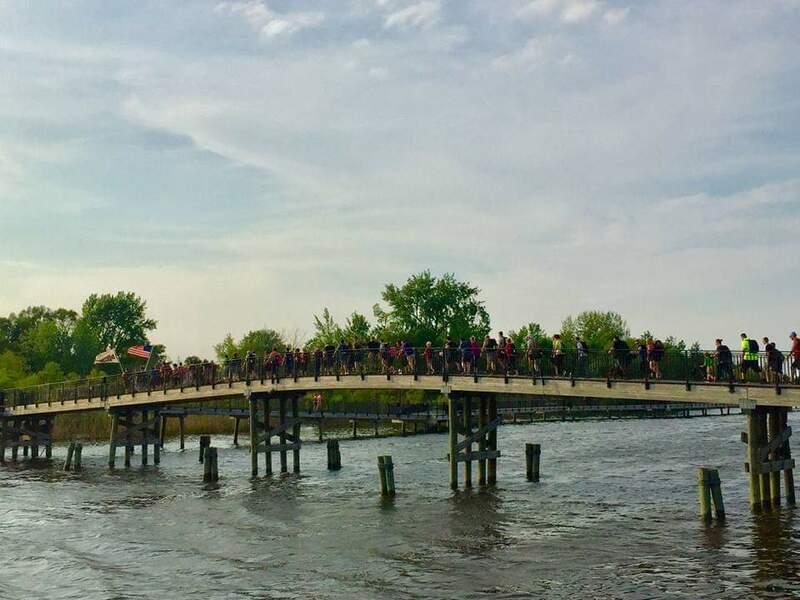 Crazy ideas and cocktails can lead to some great adventures, and that's certainly been the case for Hyland’s Hopeless - a self-described “group of weirdos that gets together a couple of times a week in Bay City to ruck, workout, and (most importantly) celebrate life”. The story of Hyland’s Hopeless and their impact on Bay County begins with the meeting of Chuck Hewitt and Larry Hyland, a duo who bonded over their love of lacrosse, coaching, family, and beer. Chuck first met Larry in 2004 when they both decided to coach youth lacrosse at the local YMCA. “Larry had a really crusty exterior, but on the inside, he was a nice guy. He stood out here in the Midwest due to his growing up on the East Coast. He had a hard exterior, but was extremely giving. When he started the lacrosse program, he would write checks all of the time - even purchasing equipment for kids who couldn’t afford it,” said Chuck. In 2008, Larry successfully convinced Chuck to take over for him as the head coach of the Bay City Central lacrosse team, a role that Chuck would have never agreed to if not for Larry’s persuasion. But coaching was not the last time that Larry would successfully convince Chuck to do something that at first he didn’t want to do. In 2010, Larry decided that he needed to get back into shape. He came across a new event online called a Tough Mudder – a physical event that requires participants to climb through mud and complete challenging obstacles as a team. Over a beer "or three", Chuck says, Larry convinced Chuck to compete in the challenge with him. “The team name was a sarcastic jab at Larry for his desire to get back into shape and a reference to the rest of us people for being hopeless in training,” said Chuck. By early 2011, the duo had successfully convinced seven other people to compete in the challenge with them and the training for the July event was in full swing. However, Larry was struggling. He couldn’t seem to shake an endless fatigue. As July got closer, Larry decided to sit-out of the Tough Mudder challenge. The other eight members of the group went on to participate in the Tough Mudder. Upon returning home, Chuck and the team discovered that Larry had been diagnosed with inoperable stage four cancer. 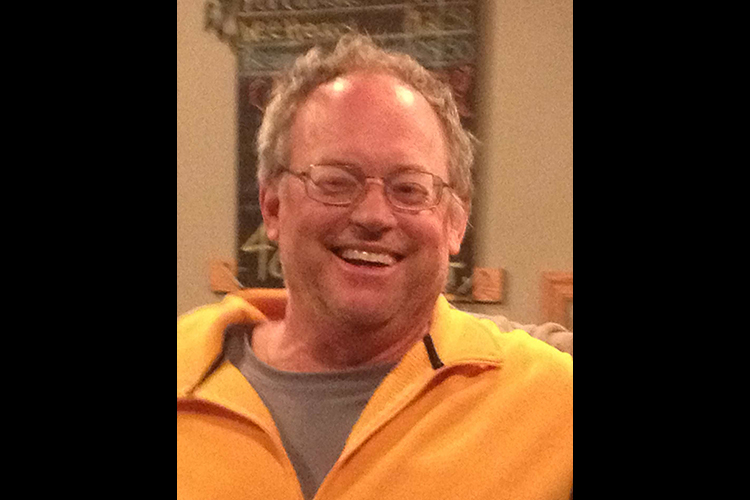 After a tough battle, Larry passed way in November of 2013. The group's namesake, Larry Hyland. In Larry’s honor, Hyland’s Hopeless continues. Over the past 8 years, the group has expanded from an eight-person team to a group with a following of over 400 people. “This group is truly a legacy to Larry and to Robert Bash - who had a big network of friends. The group really started to expand when we started all of the GORUCK stuff,” said Chuck. 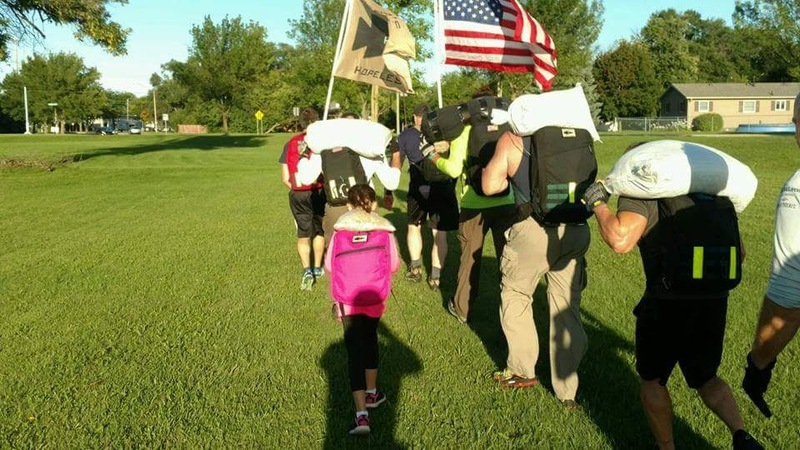 At it's most basic, GORUCK involves walking long distances with a weighted backpack, but also can include special events that can involve rucks lasting more than 24 straight hours. “I started coming to the group because I wanted to exercise; however, the friendships and relationships have kept me coming back all of these years,” said Dave. At it's most basic, GORUCK involves walking long distances with a weighted backpack, but also can include special events that can involve rucks lasting more than 24 straight hours. John Pietzak, who joined Hyland’s Hopeless in 2016, echoes the importance of this group in his life. Hyland’s Hopeless team members meet on Tuesday and Thursday evenings and Saturday mornings to ruck, do CrossFit style workouts, and to socialize. Locations for meet-ups are varied and are posted on the group’s Facebook page at the beginning of the week. Each workout ends with a social event – either a “Ruckinator” beer (which is named after Hyland’s Hopeless) at Tri-City Brewing Company or a coffee at Populace in downtown Bay City. For people who are interested in participating in the group but have never gone Rucking or participated in CrossFit, there is no need to be nervous. On top of meeting to exercise and socialize, the group also gives back to the Bay Area Community. 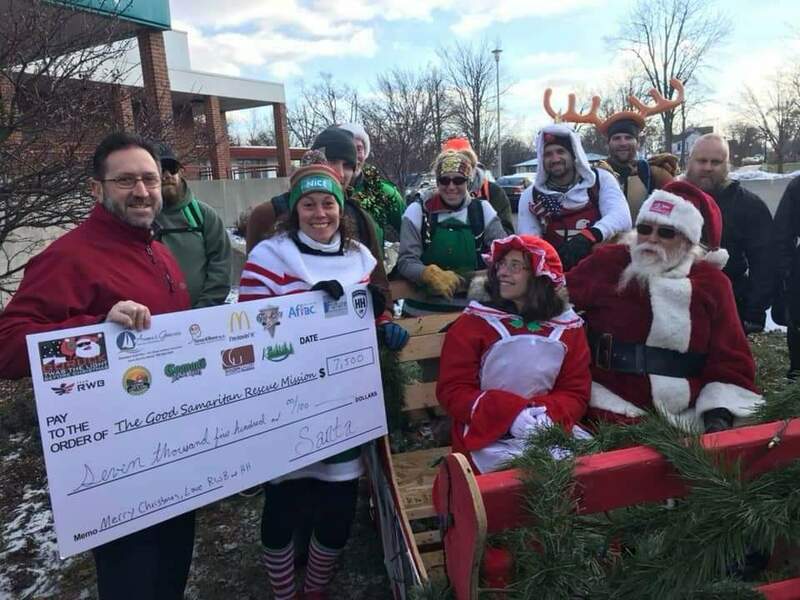 Within the past three years, Hyland’s Hopeless has raised over $25,000 for the Good Samaritan Rescue Mission through local GORUCK registrations and fundraisers through local businesses. Within the past three years, Hyland’s Hopeless has raised over $25,000 for the Good Samaritan Rescue Mission through local GORUCK registrations and fundraisers through local businesses. For more information about Hyland’s Hopeless, please visit the team’s Facebook page.